David Hirsh, besides running the Engage website, which campaigns against the academic boycott of Israel, is a lecturer at Goldsmith’s College, University of London; and his book claims to be a work of objective academic scholarship. In the penultimate chapter — entitled “Sociological method and antisemitism” — which is an odd mixture of autobiography and methodology, he writes of undertaking sociological investigations “employing methodological rigour from the traditions of ethnomethodology and discourse analysis”. Yet underlying this very thin veneer of scholarly objectivity is a passionate rage which makes the book more readable than many other academic tomes and even gives it a certain entertainment value (hence the two stars on Amazon rather than the one that it really deserves). Contemporary Left Antisemitism is essentially a temper tantrum couched in sociological jargon. So what is David Hirsh so angry about? 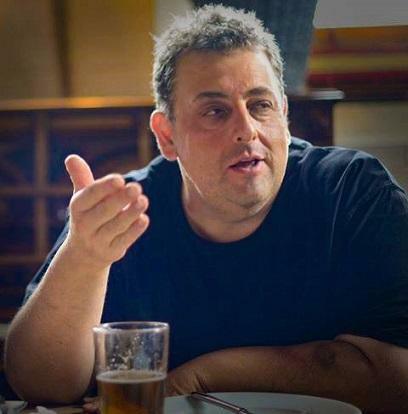 Primarily, he is furious about what he considers to be left-wing antisemitism, which he considers much more difficult to deal with than the right-wing variety, because the former is practised by people who regard themselves as anti-racists and anti-fascists — activists whom Hirsh calls the “community of the good”. “which was supported by a Rothschilds Foundation Europe and Ford Foundation research grant (£25,000) ‘to investigate the character and dynamics of anti-Zionism as a contemporary political movement and its relationship to antisemitism’, January 2007 to August 2007. It was published while I was a visiting research associate, Yale University, Yale Initiative for the Interdisciplinary Study of Antisemitism (YIISA), September 2006 to June 2007”. Hirsh qualifies his attacks on “the community of the good” by conceding that their antisemitism is either unconscious or unintentional and non-subjective – what he calls “objective anti-Semitism” (a puzzling term, because how can any action or behaviour be divorced from motivation and intention, conscious or unconscious?) However, this modification does not seem to reduce his anger against them. Hirsh is particularly furious about what he has dubbed “The Livingstone Formulation” (to which he devotes the first chapter) , after Ken Livingstone, whom he regards as a particularly strong practitioner of the phenomenon, which he defines as “the counter-allegation of Zionist conspiracy which treats discussion of antisemitism as though it were a vulgar, dishonest and tribal fraud”. In other, less emotive, words, “The Livingstone Formulation” is the accusation that the charge of antisemitism is being exploited in order to deflect criticism of Israeli policies and smear the Labour Party under Jeremy Corbyn, in order to try to forestall the possibility that Corbyn, who is known to be sympathetic to the Palestinian cause, could become Prime Minister. Just as Hirsh argues that supposed left-wing antisemitism is not a matter of conscious prejudice, couldn’t the same be said of Hirsh’s use of the charge of antisemitism? Rather than acting in deliberate bad faith and engaging in conscious “Zionist conspiracy”, he and most of those who agree with him could surely be motivated by unconscious tribal loyalties. Moreover, though Hirsh accuses those who use “The Livingstone Formulation” of trying to shut down discussion of antisemitism, his claim that “The Livingstone Formulation” is itself antisemitic is surely itself a double-bind tactic that pre-empts debate. “There is the hope that the mass uprising against the ‘political class’ that drove the Brexit and Trump ‘revolts’ can be harnessed by the Corbyn left. This left dreams of riding the tiger of popular resentment and turning it away from xenophobia and conspiracy theory, towards socialism. On the other hand, it may be that what is offered by the Corbyn left turns out to be another variant of populism rather than a democratic alternative to it. While Brexit and Trump are tolerant of xenophobia, racism and Islamophobia, the Corbyn left tends to be tolerant of antisemitism”. But, from the very beginning of his book, Hirsh fails to inspire confidence in his ability to recognise antisemitism. In the Prologue, the scene is London’s Globe Theatre in the summer of 2012; Hirsh is attending a performance by the Israeli theatre company Habima of “The Merchant of Venice” in Hebrew, as part of the International Shakespeare Festival, in which companies from different countries have come to the Globe to perform Shakespeare’s plays in their own languages. Hirsh makes a convoluted comparison between the antisemitism of the Christian opponents of Shylock and what he perceives to be the antisemitism of those who have mounted a protest demonstration against Habima. He puts forward what seems to me to be a highly unconvincing interpretation of “The Merchant of Venice” – as “a portrayal of the anatomy of antisemitic persecution” — that absolves Shakespeare of the charge of writing an antisemitic play. Hirsh seems unable to accept that a great work of art can be antisemitic. Of course “The Merchant of Venice” is far more than a mere Jew-baiting play, but it is deeply antisemitic; in fact its attack on what Shakespeare perceives as Judaism is the source of its power and complexity. Hirsh comments correctly on the worthlessness of most of the Christians, but fails to see that Shakespeare is making a theological point about Original Sin; the Christians, acknowledging their own sinfulness, throw themselves on the mercy of God, whereas Shylock insists on justice — distorted as cruel legalism: the “pound of flesh”. The confrontation between Christian “Mercy” and Jewish “Justice” (as conceived by Shakespeare) is made explicit in the trial scene, in Portia’s “The quality of mercy is not strained” speech (in this scene Portia represents the Virgin Mary, while Antonio is a Christ-figure): “Therefore, Jew/Though justice be thy plea, consider this:/That in the course of justice none of us/Should see salvation” (Act 4, Scene 1, lines 194-7). Shakespeare clearly condemns Shylock, whom he associates both with the Puritans of his own day (whom he hated) and the New Testament depiction of the legalistic, bloodthirsty, Christ-killing Pharisees. It is, however, true that Shylock, as the representative, albeit in a grossly distorted and condemned form, of Judaism and Justice (“I stand for judgment” (Act 4, Scene 1, line 103)) — and, above all, of the role of the Jews in the great drama of Christianity as the executioners of Christ, so that sinful humanity could be redeemed from Hell — achieves a tragic stature that was probably unintended by his creator. At the same time as he absolves Shakespeare of antisemitism, Hirsh makes no mention at all of the real reason for the protest against Habima: that, unlike several other Israeli theatre companies, it accepted an invitation to tour the West Bank settlements. So, according to Hirsh, “The Merchant of Venice” is not an antisemitic play; but the demonstrators, who are making a political protest against Israel’s unjust and illegal Occupation, are antisemites. In the Epilogue, Hirsh complains that Corbyn supports “a boycott of Israel but of nowhere else on the planet”. First, Corbyn does not support a boycott of Israel, only of the Occupation; second, Corbyn, who has been involved in many other foreign policy issues apart from Israel/Palestine, does support other boycotts – for instance, he has vowed to end arms sales to Saudi Arabia if he becomes Prime Minister. “We had a positive and constructive meeting and were pleased that Mr Corbyn gave a very solid commitment to the right of Israel to live within secure and recognized boundaries as part of a two state solution to the Israel-Palestine conflict”. It is worth noting that, in a long, two-page textual analysis (on pages 2000-2) of a passage in Norman Finkelstein’s book Beyond Chutzpah, Hirsh also manages to misrepresent Norman Finkelstein as an anti-Zionist supporter of one state. Hirsh seems unable to understand that one can recognise that Israel was founded on a moral injustice but still accept its de facto and legal existence. Finkelstein is in fact well-known for his support for the two-state solution (for which he has taken much flak in the Palestinian solidarity movement). If Hirsh is not consciously and deliberately misrepresenting Finkelstein’s views (the issue of how far Hirsh’s distortions are conscious remains a moot point), his ignorance on this point casts much doubt on his understanding of the pro-Palestinian left that is the subject of his book. “there is a substitution of the right to have debates for the right to support the exclusion of Israelis, then the right for trade unions to be free from criticism”. Here Hirsh pre-empts the issue by implying that UCU had no right to “support the exclusion of Israelis”; ie he appears to be saying that it is okay to hold debates and vote, as long as the right result is reached (he has a similar attitude towards those who voted for Brexit). And the Socialist Review piece was not calling for trade unions to be “free from criticism” – Dershowitz’s threat “to devastate and bankrupt” was rather more than “criticism”. Hirsh devotes a whole passionately aggrieved chapter to the Ronnie Fraser versus UCU case. Ronnie Fraser, a further education lecturer and founder director of Academic Friends of Israel, which campaigns against the academic boycott, claimed to have been personally “harassed” and victimised by a resolution passed by the UCU 2011 Congress in relation to the EUMC (European Monitoring Centre on Racism and Xenophobia) Working Definition of Anti-Semitism. The motion stated: “Congress believes that the EUMC definition confuses criticism of Israeli government policy and actions with genuine antisemitism, and is being used to silence debate about Israel and Palestine on campus.” Fraser brought his case to an industrial tribunal which, as Hirsh writes, “found against Fraser on everything: on technicalities, on legal argument and on every significant issue of substance and of fact”. Hirsh accuses the tribunal of being itself guilty of “a legally binding Livingstone Formulation”. 4) committed itself to sponsoring a re-education programme in antisemitism, “with special reference to the relationship between anti-Semitism and what now passes for ‘anti-Zionism’” – a programme that was to last for a minimum of ten years and that would be conducted by the body of people approved by Ronnie Fraser. “The tribunal judged that Fraser was trying to mobilise an allegation of antisemitism in order to undermine the freedom of speech of critics of Israel. It judged: ‘We are also troubled by the implications of the claim. Underlying it we sense a worrying disregard for pluralism, tolerance and freedom of expression’ (para 179)”. “I saw a Jewish teacher, a grandfather and a son of two Holocaust survivors experience the antisemitism which was standard and routine within the UCU; it made him cry in pain and in isolation”. But in what way is sexual harassment comparable to the democratic passing of a motion with which Fraser disagreed, however painful the political defeat was for him? “The politics of ‘not in my name’ can be fundamentally self-infantilising in that it withdraws from material responsibility for the external world into an inner moral life in which all that matters is that what happens is not our fault”. And he refers to himself and the so-called moderate left of Engage as “the grown-ups”. But it is as though he has never matured from the playground bully who insists that all the other children should do as he tells them; he has never learned the lesson that all children need to learn of tolerance and respect for opinions with which they strongly disagree. 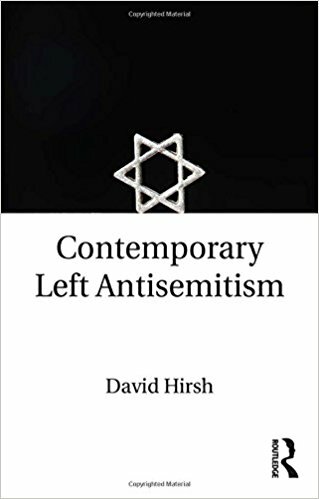 The main aim of “Contemporary Left Antisemitism” is to portray the Corbyn-supporting left as totalitarian and fascist, in contrast to the Engage left, which Hirsh depicts as democratic and law-abiding: “this book is as much a manifestation of a democratic left tradition as it is a critique of a totalitarian left tradition”. Yet it is Hirsh’s world-view which comes over as totalitarian and undemocratic. “We know that a pre-requisite for institutional racism is the policing of the boundaries of an organisation or a community to make sure that the internal culture cannot leak out and that the external culture cannot shine light in”. To take one more among the many misrepresentations of Corbyn: Hirsh expresses support for David Cameron’s attack, in his speech at the 2015 Conservative Party Conference, on Corbyn “for having called the killing of Osama bin Laden a tragedy”. But as Matt Dathan wrote in the Independent in relation to Cameron’s aspersions: “What he had failed to do was give any context to Mr Corbyn’s comments, failing to mention the fact that he had said the lack of a trial for Bin Laden was the ‘tragedy’, not his death itself”. Corbyn had been criticising the arbitrary use of force involved in the killing of Bin Laden, as opposed to the rule of law. “Democracy itself and freedom of expression, law, truth and human rights now become suspect….the idea that human rights are Western and imperialist is standard in contemporary progressive discourse and is routinely taught in universities”. But it is precisely because of Israel’s human rights abuses – which contrast so shockingly with its self-portrayal as a liberal democracy and with the support given to its atrocities by many Western governments – that it is one of the main campaign focuses (though by no means the only one) of the Corbyn-supporting left. Hirsh’s book itself unwittingly bears out the truth of the “Livingstone Formulation”: ie that the charge of antisemitism is exploited to let Israel off the hook. As well as bringing up the accusation of Jewish “conspiracy theory” in relation to opposition to attempts to stifle debate on boycotts (as described above), Hirsh complains “the theme of Israel as a child-killing state is increasingly common” and links this to the mediaeval blood libel, according to which Jews were accused of killing Christian children so that they could drink their blood at Passover (he also agrees with Howard Jacobson that Caryl Churchill’s play “Seven Jewish Children” invokes the blood libel; he describes a political play about Operation Cast Lead as antisemitic, whereas he claims “The Merchant of Venice” is not antisemitic). Hirsh entirely omits the reality that the Israeli army killed 350 Gazan children in Operation Cast Lead and 550 in Operation Protective Edge. The book’s Epilogue is concerned with the June 8 snap election which destroyed the Conservative majority and created the possibility of a Corbyn government. We are given a pathetic (but highly entertaining) picture of Hirsh on election night: “As I watched the TV coverage on the night of the election, flicking from channel to channel, I did not see antisemitism being mentioned at all”. Shockingly, the TV presenters and the British public thought other issues were more important at that time. For Hirsh, the lack of any mention of antisemitism on TV on election night has created a worry that “tolerance of antisemitism will play the role of an initiation rite for the new society”. “Britain may be approaching a period of significant and dangerous insecurity and turmoil….the emotional appeal of the populist movements requires enemies; enemies which are to be found at the centre of dangerous, global and powerful conspiracies”. “There is anger in Britain with Israel, with its inability to make peace with its neighbours, with its continuing occupation of Palestinian territory and with its record of human rights abuses. Given the long history of antisemitism in Europe, it would be unexpected indeed if none of this anger with Israel was manifested in the language, tropes or themes of antisemitism”. In the same chapter, Hirsh points out that during the 1990s, when there was widespread hope for a solution to the Israel/Palestine conflict, hostility to Israel and concomitant antisemitic spill-over greatly decreased; it was only with the end of the Oslo Accords and the outbreak of the Second Intifada that they reappeared. There is surely a better approach towards any antisemitic spill-over from the Israel/Palestine conflict than the paranoia about antisemitism, the self-pitying sense of victimisation, the tribal loyalty to Israel (despite all the protestations to the contrary) and the misrepresentations of the Corbyn-supporting left that inform this book: focusing on the end of the Occupation and the achievement of the just peace between Israel and Palestine that is supported by Jeremy Corbyn. Previous Previous post: Misleading claims continue to be made about antisemitism. Next Next post: Balfour 100; Partition 70; Occupation 50; Future ? ?